Hydroxycut Review. Types of Products, How it works, Pros and cons. Can Hydroxycut help with weight loss? Probably, but short-term results. Read this detailed review of ingredients, side effects, and benefits. You can buy Iovate supplements can via the Official website and Amazon. Hydroxycut is an umbrella term that represents a wide range of products designed to aid in fat and weight reduction as well as boost metabolism. Hydroxycut App. It includes an exercise plan and weight loss meal plan, plus recipes, nutrition advice, and fitness tips. 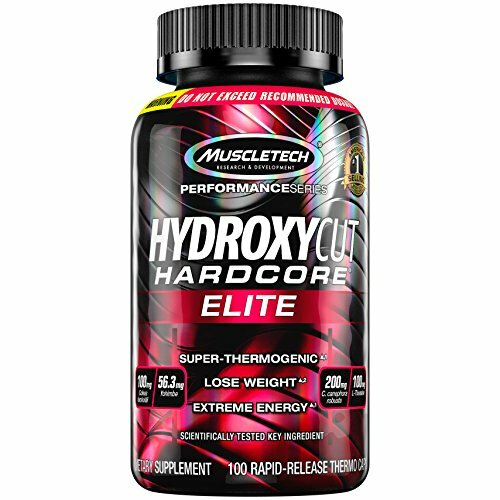 Hydroxycut was manufactured in 2002 by MuscleTech Research Development who later sold the company to Iovate Health Science in 2004. N/B Iovate still used MuscleTech name to market the products. Initially, these supplements contained ephedra, a compound that was banned by FDA in 2004. This caused Iovate to recall their products from the market, a move that led to bankruptcy. In 2009, Iovate Health Science again recalled their products due to increased reports of liver toxicity and pressure from FDA. But, later reformulated their products and placed them back on sale. Of all the ingredients and formulas used, only caffeine remained in their ingredient list. Even after two recalls and a massive lawsuit, Hydroxycut is still the leading supplements brand in the United States– they have sold over 100 million bottles. Hydroxycut, a brand of supplements offers pills, capsules, shakes, and gummies. Muscletech has manufactured a variety of products grouped into different categories; weight loss, premium weight loss, non-stimulant, sport, and ultra-lean supplements. Pro Clinical that is ideal for weight loss and energy. It contains vitamins D, B, and Apple Cider. And, the capsules are rapid-release, meaning they are absorbed quickly. It is also available in a non-stimulant version. Gummies are perfect on-the-go, and they contain 16 essential vitamins. Pro Clinical Non-stimulant. It includes vitamins that metabolize carbs, fats, proteins, and apple cider vinegar. Max for women. These rapid-release liquid capsules contain biotin–strengthens hair, nails, and skin. Slay. 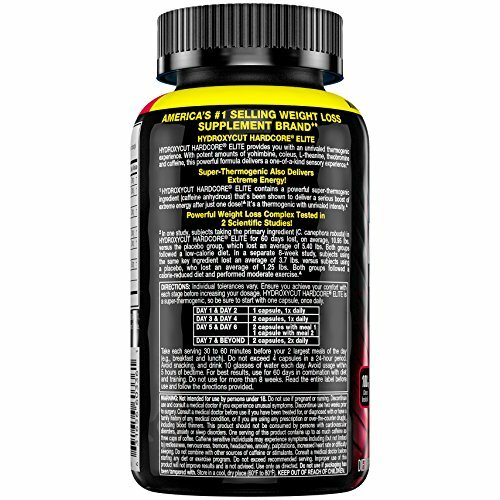 These mega power mini capsules are convenient for advanced weight loss. Hydroxycut platinum is formulated with probiotics and vitamins to boost energy and promote metabolism. These supplements help you prepare for intense workouts and sports. It features an active ingredient– curcumin which is a combination of turmeric/curcumin. Also, it boosts metabolism, essential vitamins, and extra energy. 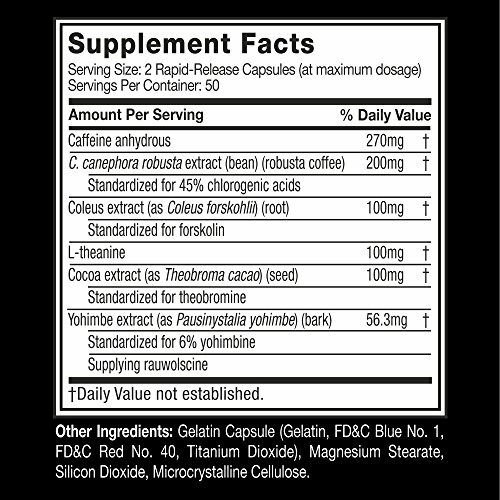 Hydroxycut contains a blend of ingredients, but caffeine is the active ingredient in all the products. After the 2009 recall, Iovate released a new formula for their products which has remained constant through the years. Hydroxycut is a blend of various ingredients linked to weight loss, with caffeine being the most dominant. Well, numerous studies have reported caffeine can boost metabolism and enhance fat burning. However, these results are short-term, and people tend to develop caffeine tolerance. According to PubMed caffeine can promote thermogenesis the process of burning food to products energy. But, no, quality studies exist that show how caffeine aids in weight loss. Furthermore, the effectiveness of the active herbal ingredients in Hydroxycut has not been researched. And, unfortunately, there are no human studies that directly test all the ingredients contained in the Muscletech products. 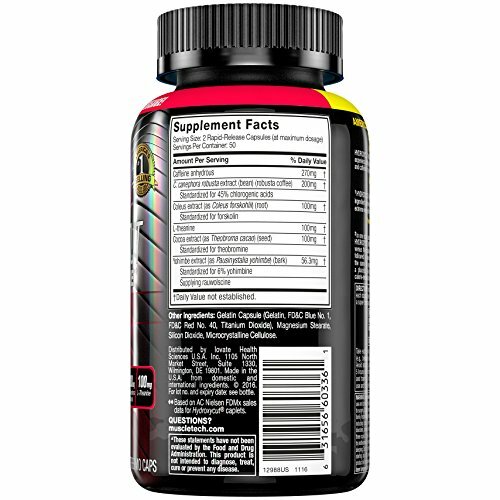 Hydroxycut promotes weight loss and acts as an energy enhancer. The most emphasized benefit of the supplements is weight loss. However, they also boost metabolism, enhance thermogenesis, increase energy, and boost exercise intensity. But, for effective results, it is recommended to combine the supplements with diet and exercise to enjoy long-term weight loss results. The supplements should be used according to the given instructions, and a failure will result in ineffective results and potential side effects. Start with one capsule, gummy or pill a day before breakfast or lunch in the first week, followed by 8 to 10 glasses of water. You can gradually increase the dose to two capsules twice a day. Some customers have reported liver toxicity after taking the supplements. The specific ingredients that are responsible for toxicity are uncertain, but it is believed that green tea is a culprit. Probably, the reason why Hydroxycut Green Tea was recalled in 2013. Note: green tea offers a variety of health benefits, but high doses can cause adverse effects. Hydroxycut has reformulated their ingredients by removing green tea and hydroxycitric acid and virtually all the ingredients except caffeine. But, even with the new formula, Hydroxycut is still considered a danger to the liver, gastrointestinal and muscles. Although Iovate claims that they have conducted placebo-controlled human studies, they have not provided actual citations and method used, making it difficult to determine whether the studies were carried out or not. None at the moment. However, Iovate recalled its products twice in 2004 and 2009. In 2009, University of California researchers analyzed the Hydroxycut side effects, and they reported that some of the ingredients could cause liver failure to death. A series of class-action lawsuits were filed against Iovate following the 2009 recall. And, in 2014, the Company was forced to pay out 14 million dollars. “I lost 7.4 lbs in six days, and it doesn’t make me sweat or feel jittery. Garcinia cambogia is a fruit containing HCA– Hydroxycitric acid that is known for boosting fat burning. It also blocks citrate lyase enzyme which stops fat production and also raises serotonin levels in the body. Chromium increases lean muscles mass, reduces food intake, suppresses appetite, and promotes fat loss. the daily dosage of chromium is 25 to 45 micrograms a day. A higher chromium dosage will cause headaches, constipation, or watery stools. Yohimbe helps in weight loss, reduces appetite, boosts metabolism, and stimulates the nervous system. Would I recommend Hydroxycut? No. I appreciate the years of experience Iovate has in the dietary supplements industry. But, the lack of detailed research on most of the ingredients used is a significant red flag. Moreover, the increasing reports on liver toxicity are alarming and a cause of caution. If you want long-term weight loss, I suggest a supplement with fewer side effects and one backed by science. 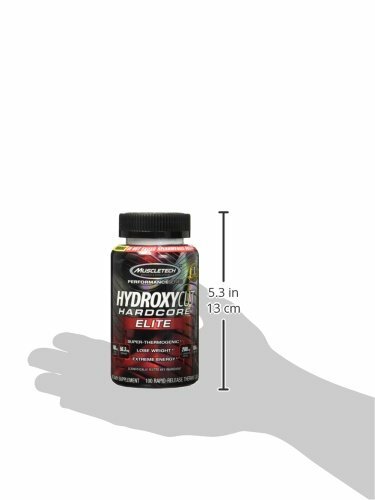 You can buy Hydroxycut from Amazon or Official website.